CARITAS For Children makes a difference for hundreds of children worldwide, yet its founder Christopher T. Hoar, still enjoys the opportunity to check in with some of the young people growing up within its child sponsorship programs. Chris recently skyped with one of those young people, Immaculate, "a very early Caritas child". 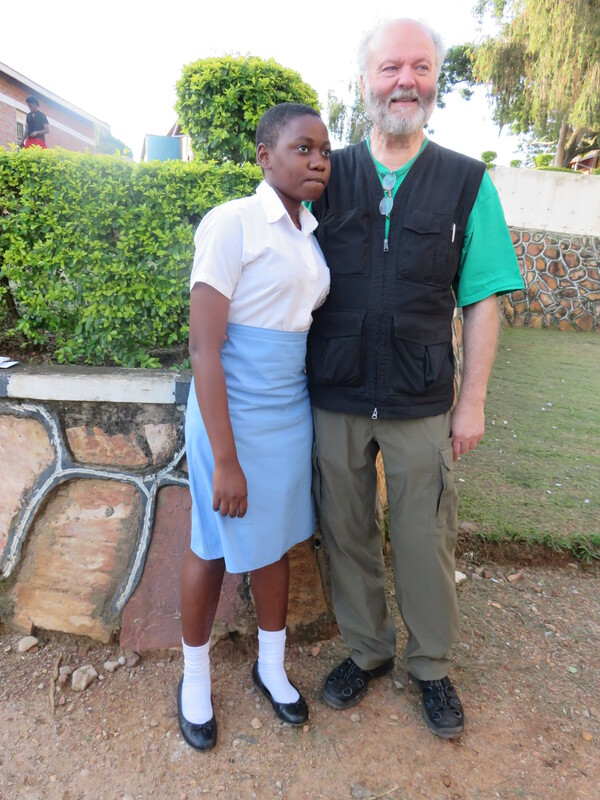 Newly graduated from high school, she discussed with him her desire to attend Saint Francis Nsambya Nursing School. He asked her for "a story of her experience", which follows in her own words. Am Immaculate, 18-years-old, born of 22nd March 1998. Am a Ugandan by nationality and I was brought up in a poor, poor background of us being three kids, I myself and two brothers. But very surprisingly I got a very wonderful opportunity of joining in the CARITAS organization through the effort of Mr. Kkonde Joseph [Technical Coordinator for CARITAS child sponsorship programs] and Mr. Christopher Hoar. I was chosen by a family thousands of miles away with a loving, caring heart and generosity. This is the 10th year, am still under the care of Mr. and Mrs. Arleen and Dermot O. and am so grateful for the great support they offer to me; because if it was not for them I could be so ignorant with no education. But after all the precious support they provide me I have been able to learn in well-equipped Catholic schools under the Little Sisters of St. Francis of Assisi where I graduated from Primary 7 and I came out as a young religious and domestically hard-working child because we had both practical agricultural work and class work. That was in Stella Maris Primary Boarding school and I later joined high school in Stella Maris College where I was brought up as a true lady. The discipline background of both of the schools was still perfect and I also admired campaigning for the post of a Religious Minister and I qualified. I therefore led the religious affairs of the school from Senior 1 to Senior 2. I used to lead the organising of the Masses in school, training church choir (though am not a perfect singer), ensuring proper order in Mass and many others. 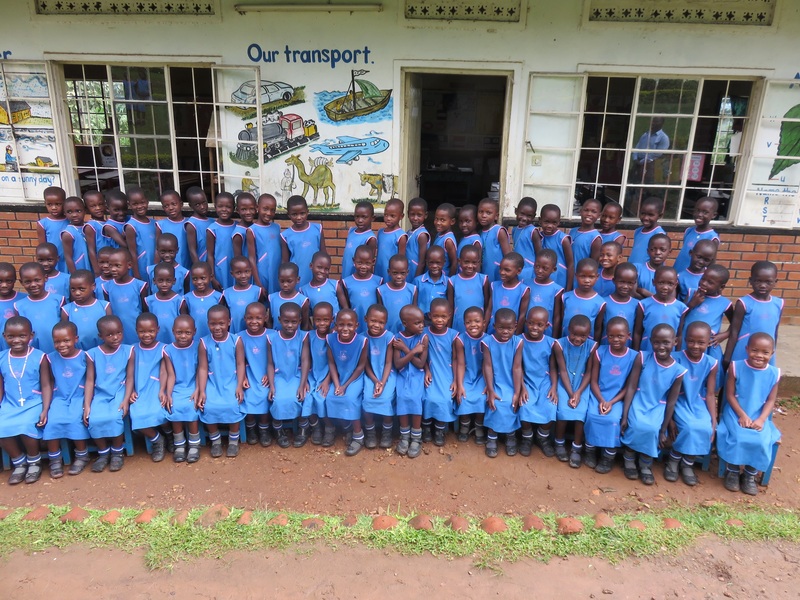 Immaculate's 2007 class photo, she's sixth from the left in the back row. 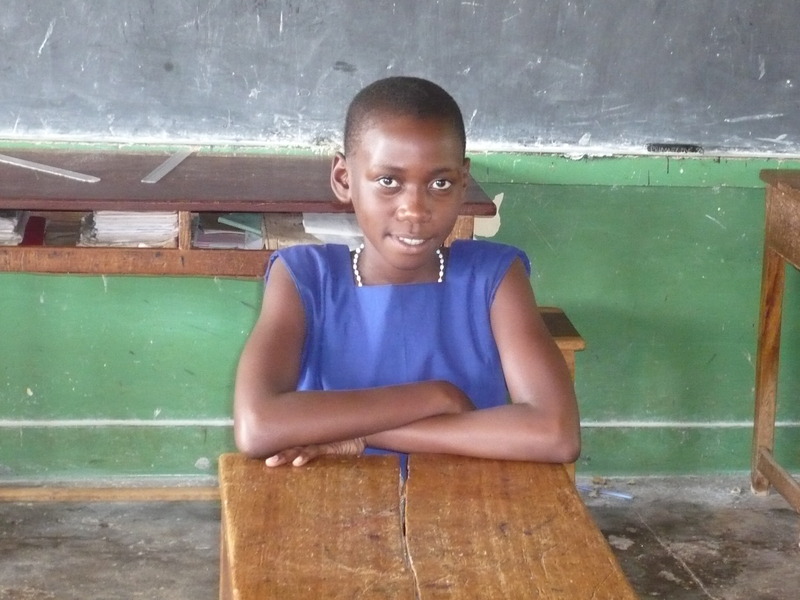 Immaculate in 2009, during her earlier days attending primary school through CARITAS' child sponsorship programs. In this same school I graduated my ordinary level. I have decided to have a Midwifery Course because I was really inspired by some people – just like my sponsor who is taking care of me is a doctor. You never know, one time after graduating from being a midwife [perhaps] I can upgrade to being a doctor like Mr. O., my American father; and the midwife who worked upon my mother during my birth really saved my dearly life so I would also wish to save as many babies as possible during their birth. I had the interview leading me to the course of midwifery on 9th March 2016 at St. Francis Nsambya Nursing School and I qualified for being their student. Am beginning the course on 16th May 2016 and it's going to take two years and a half. But I also want to help other people as an example of commitment just like the way my American family of Mr. and Mrs. O. are taking care of me. There are very many children suffering here on the African continent and they would also wish to have that parental care, but it’s nowhere to be attained around them. 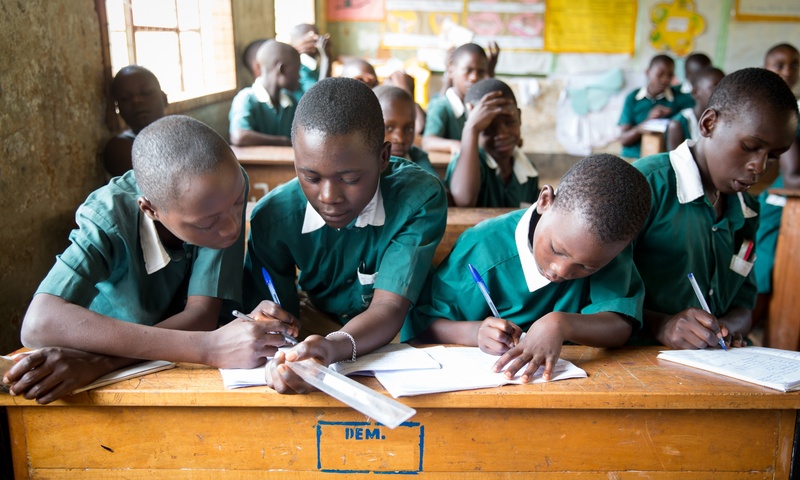 Chris Hoar met with Immaculate last summer in Uganda. I therefore send my appreciation to my supporting family, the Little Sisters, and the CARITAS child sponsorship programs. All has combined into a real global, world family which I will always have, to keep for the rest of my life. LONG LIVE CARITAS FOR CHILDREN!